Creating content is one of the most powerful ways to generate leads and build your email list. There are already dozens of articles listing different content ideas that work well for encouraging readers to opt-in to your email list, so I decided to go for something a little different here. 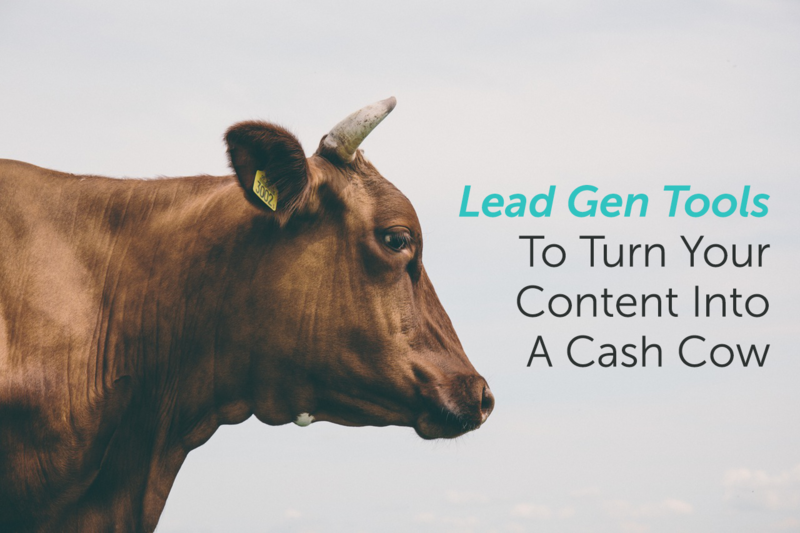 This article offers some tools that can help make sure your content generates more leads. Creating lead magnets that entice readers to opt in is arguably the most efficient way to build an email list and generate leads. I’ve been a long-time proponent of creating “content upgrades” – i.e., allowing readers to download worksheets, checklists, cheatsheets, flowcharts, mind-maps while they are reading your article on the same topic, whatever that happens to be. But what’s the best way to determine which topics are most likely to generate interest and more users willing to opt in? Many experts recommend answering a popular question on your landing page as one of the most efficient ways to increase conversions. The guiding logic here is, if your lead magnet addresses frequently asked questions, it will be easier to attract readers and convert them into subscribers and leads. Clicking each tag brings you to the list of questions that have your core term and the clicked tag in them. 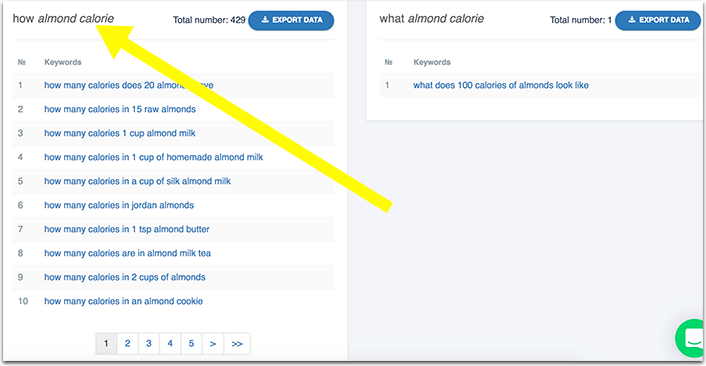 Additionally, clicking any question allows you to dig deeper into its search volume, competition and other ways to express it. 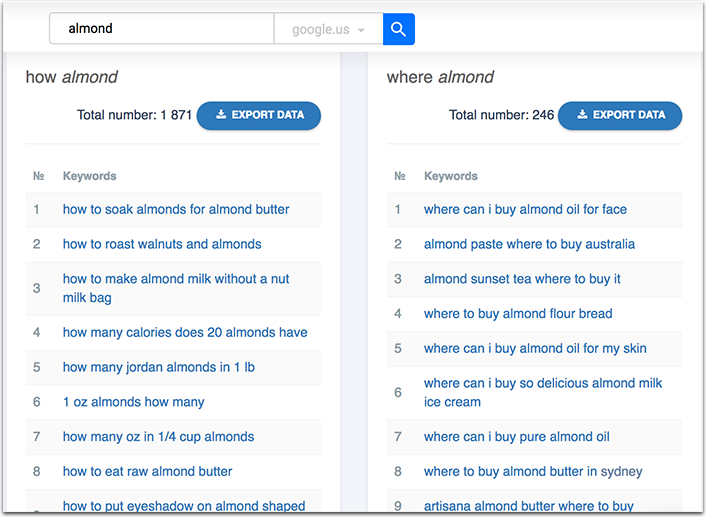 There are more ways to use Serpstat to expand your list of ideas to build your content around. For example, “Cluster research” will show you the list of “related” terms and phrases, those that have very similar Google search engine results with your keyword. This way you can target more related phrases in your content. Quora is an awesome content creation tool. It helps with brainstorming, research and promoting. It is also a great way to research which questions interest your audience in your niche. You can see more question in each topic’s “FAQ” and “Answer” sections. 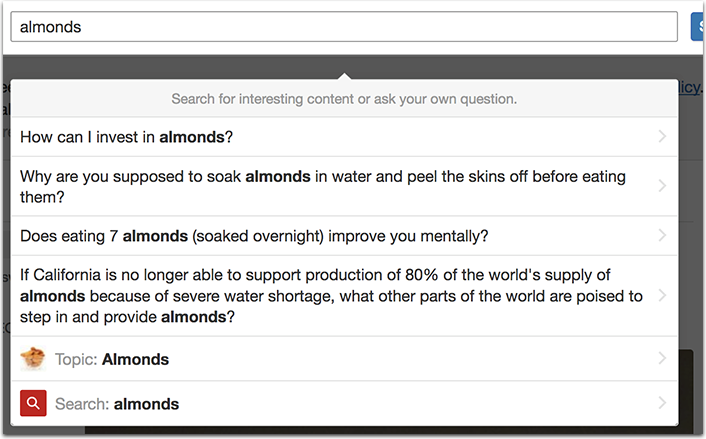 Each question thread has “Related questions,” which will usually be extremely useful for keyword discovery. 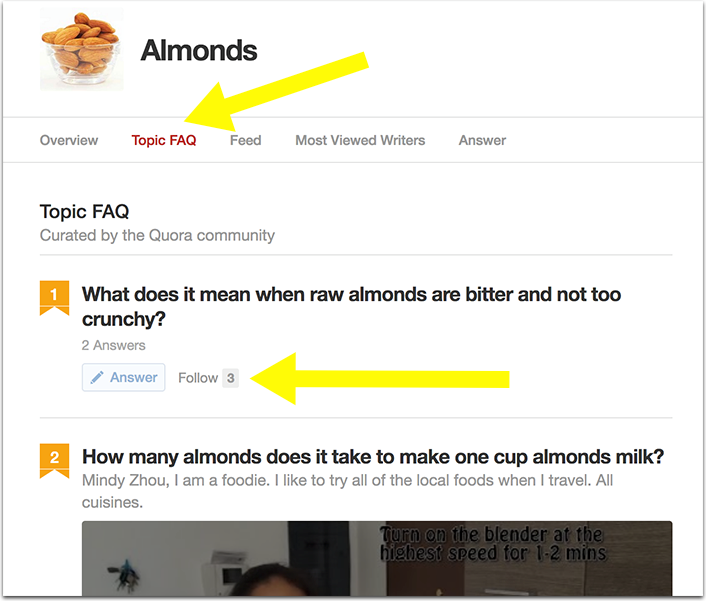 You can follow any topic on Quora to see new questions and answers in your Quora newsfeed. You can tell how popular each question is by the number of followers it has; in situations where a question has a lot of followers but few answers, you know the topic is likely to be in high demand. This is your opportunity to be one of the few to answer it well, offer an expanded reply and then direct Quora users to your lead magnet. Reddit is another alternative here: There are lots of subreddits specializing on asking and answering questions which delve into for content and CTA inspiration. The problem with Reddit is that it is very complicated for a new user to understand. The whole Reddit etiquette thing can be very discouraging and Reddit users don’t treat newcomers too well either. DirJournal has a neat Reddit guide for you to go through before you try getting active on Reddit. Leadfeeder is a cool app that essentially turns Google Analytics sessions into prospects. All you need to do is to give the app permission access to your site analytics, and it will identify companies reading your content and even show you how you are connected. How often the company rep visited your site and for how long. Which pages of your site they visited (look out for those who landed on an article page and then clicked through to your contact and about pages as well as your services or product pages; these are going to be your most valuable prospects). The company’s site and contact information. 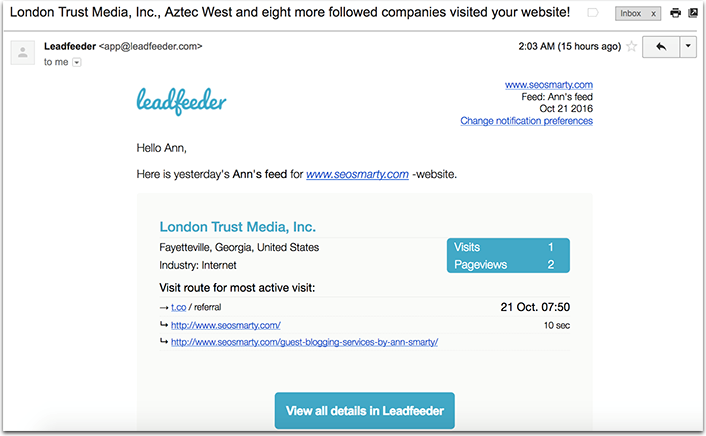 Leadfeeder also sends useful email alerts with the most recent leads on your site, as recorded from Google Analytics. From there, you can go ahead and get proactive reaching out to the company representatives – especially if you are connected on Linkedin! Hatchbuck allows you target automated emails based on numerous conditions and tag rules. For example, you can send a personalized email to people who have opted-in by downloading your ebook giving them more information on emails to follow. 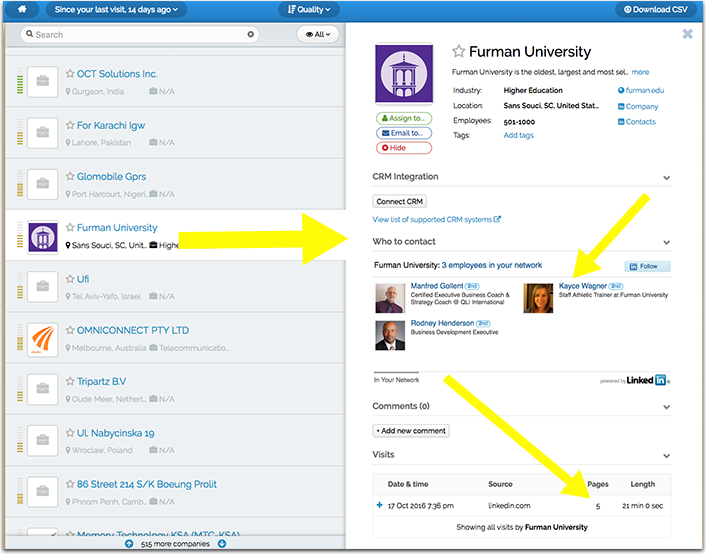 You can set up personalized follow-ups, relevant email courses and more based on the content they originally downloaded or which page they downloaded it from. It’s the most powerful way to improve your email engagement rate while automating the whole process. You’ll find plenty more useful marketing automation features in their platform including their task manager, email builder and tagging mechanisms. SumoMe has a lot of cool content marketing tools, including sophisticated opt-in forms, easy integrations with just about any content management system, Google Analytics integrations and heatmaps. 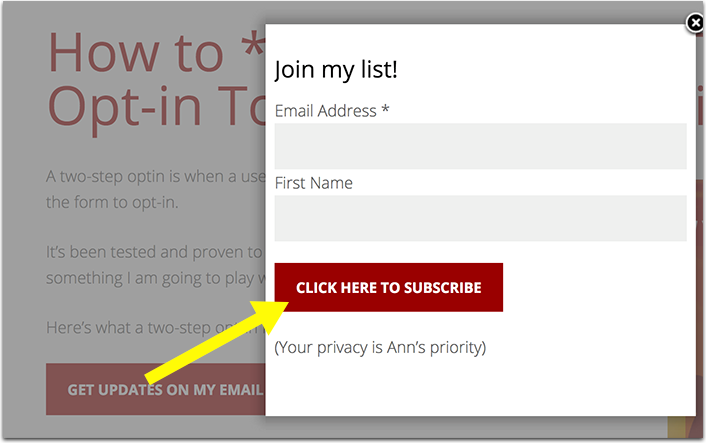 One of my favorite features offered by SumoMe is the “click to subscribe” functionality that lets you link any on-page text or button to your opt-in form. This is a great way to convert readers into subscribers right from your article. For example, you can mention your worksheet in the context of a post and link it to your opt-in form which will pop up in the overlay and allow the reader to subscribe without ever leaving the page. The option is called “Click Triggers,” and it is part of SumoMe’s Pro List Builder product. To use it, create a new click trigger, copy the code and paste into the “Create a new link” field when writing your article. Here are more ways to build “click to trigger” popups. With the help of these incredibly effective tools, you can be sure that your content is actively assisting in your lead generation efforts.